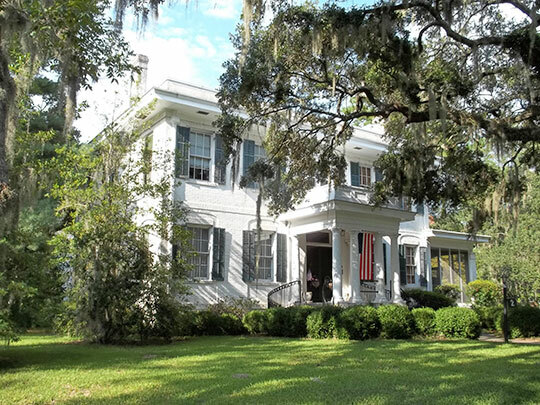 Savannah City Hall is located at 2 East Bay Street, Savannah, GA 31401; phone: 912-651-6415. Photo: 2 Pierpont Circle, ca. 1920, Savannah, GA. Listed on the National Register of Historic Places in 1990. Photographed by User:Ebyabe (own work), 2011, [cc-by-3.0 (creativecommons.org/licenses/by/3.0)], via Wikimedia Commons, accessed October, 2012. Savannah was founded in 1733. Although other British-planned cities preceded Savannah in the New World, Savannah was a utopian town plan carried through to completion. The aesthetic qualities embodied in the plan through its squares have influenced its quality of life for more than 270 years. In a dense urban environment, these open spaces served a multitude of social gathering purposes. The power of Savannah's unique plan, its uncommonly pedestrian-oriented setting, and its tree canopy tolerates significant architectural diversity. Savannah's regional plan with its town lots and squares, garden lots, and farm lots formed a blueprint for growth that is evident in the street patterns even today. Major boulevards such as 37th Street, Victory Drive, Bull Street and Waters Avenue follow the former divisions between the farm lots. Edmund Bacon, author and city planner wrote that "The simple purity and humanity of the Oglethorpe concept is just as appropriate today as it was in 1733. It proved that an intimate and intensely human small scale unit can be the basis for large scale regional organization." The Chatham County/Savannah Metropolitan Planning Commission, Comprehensive Plan, 2006, www.thempc.org, accessed November, 2013.